Medication Adherence Support Programs- Is there a version that actually works? During the last few years, medication non-adherence and its devastating impact has become a common discussion topic. These discussions triggered various studies, technology developments and speculations in regards to the efficiency of current existing solutions in the market (apps, devices, call centers). A short while ago, a study with disappointing results in regards to the influence of a support system / technology developments on adherence levels was published. These results were a blow to different adherence technology developers as well as to believers in the impact that supporting program disciplinary has on medication adherence. 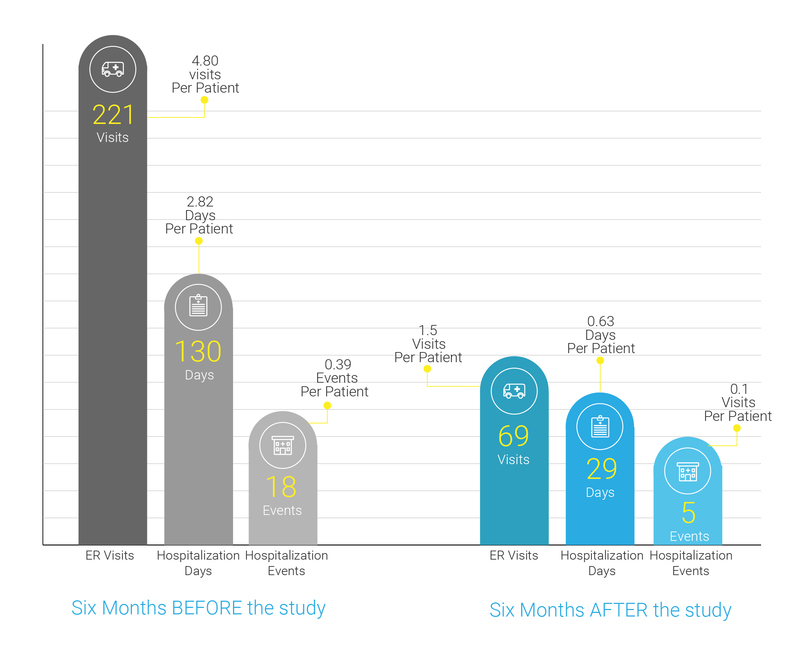 Its results have shown that an intervention that combines smart reminding pill bottles, lottery based gamification and social support do not improve medication adherence outcomes, nor do they lower the rate of readmissions for heart attack surviving patients. The interesting thing is that a short while before this study was published, another one was published as well, but- with completely opposite results. Medication adherence significantly improved, patient outcomes and health dramatically altered for the better, less readmissions and fewer ER visits for CHF participants. How is this possible? What’s different? How can you see such conflicting results with a similar patient population, at such similar times? Or, in short- how to continue from this point on? Question Asked Does a support system that combines reminders, human interventions, and social support derive improvement in cardiac patients’ adherence, health, and reduces hospitalizations in comparison to a standard treatment? Does a support system that combines reminders, human interventions, and social support derive improvement in cardiac patients’ adherence, health, and reduces hospitalizations in comparison to a standard treatment? Dispenser compartments are organized by intake times: morning, noon, evening, etc’. The dispenser contains all of the patient medication in one place. Incentives Money reward for participating in the study, again for activating the smart pill bottle, daily lottery raffles limited by adherence levels. No money rewards. The patient can choose to select a family member / caregiver that will be retroactively notified if medication has not been taken for two days. Treatment Sequence Beginning of the study for participants occurred after an average range of 40.8 days after being released from the hospital. Beginning of the study was immediately after hospital release, the study kit with the smart medication dispenser was given to the patients as a direct continuance for home treatment. 1509 participants, 1000 in the actual study, 509 as a control group. It is possible that the magnitude of the study has become an obstacle and prevented diagnosing and administrating specific, tailor made adjustments that are suited for for every patient. 70 participants, 46 in the actual study, 24 as a control group. The focused study allowed refilling medication by the medical staff and to conduct a personalized support and monitoring program for every patient. With a simple comparison, in a nutshell, you can see a wide range of differences between these two studies even though that the main studied question remains the same. If you dig deeper, you can see that the relative advantages of study number 2 were mostly related to the ability of personalizing and adjusting the complete support system to each and every patient- to his current medical state, to other prescribed medication he might have been taking, and still, constantly monitor his treatment regimen. It is also right to assume that personal treatment and human contact are better rewarding, long lasting and lead to better results than financial incentives. In study number 1, the statistics and emphasis was only on the monitored study medication, while in study number 2, all of the patient’s medication were monitored. In study number 2 there was a real time intervention capability whenever a non-adherence notification was received, while in study number 1 the intervention was done retroactively. In study number 2 the treatment continuum between hospital discharge and home care was crucial while in study number 1 the continuum was broken and participating patients started the program only after an average of 40.8 days from hospital discharge. Study number 1 spread over 45 states, in various organizations, and incorporated many participants while study number 2 was focused in one place, under one medical team which allowed a better monitoring capability. The question to be asked – Is closer monitoring, including weekly calls from nurses, weekly medication refills by the medical staff, and real time interventions FAR MORE EXPENSIVE? The answer is that if we exclude financial incentives and take only real time, relevant interventions under consideration (as opposed to unnecessary automatic ongoing calls / messages), efficiency will rise dramatically and the results of personalized support will be recompensed in vast savings to hospitals, caregivers, health care systems and to patients themselves. This study was conducted by St. Helena Health (a health care organization in Brazil), where the impact of a complete support system was evaluated within a CHF patient population. This support system included a supervising pharmacist that was in charge of documentation, logging, consulting and consistent contact with the head physician. There were weekly calls from nurses and the SimpleMed+ smart medication dispenser outputted reminders in the right intake times- visual, audible, as well as text messages and e-mails if needed. Vaica’s smart medication dispenser is connected to a cloud infrastructure to monitor, manage and log every medication intake, therefore initiating a logic of selectable escalating reminders according to each patient’s needs. This was reflected directly in the reduction of ER visits and hospitalizations. Emergency Room (ER) visits were reduced by 68%; hospital admissions were reduced by more than 72%, resulting in 78% reduction in hospitalization days. Although there was only a small amount of patients participating in this study, (70 patients overall while 46 had the support system and 24 were the control group), but these results laid the foundation to expanding the program to oncology patients and high-risk pregnancies. 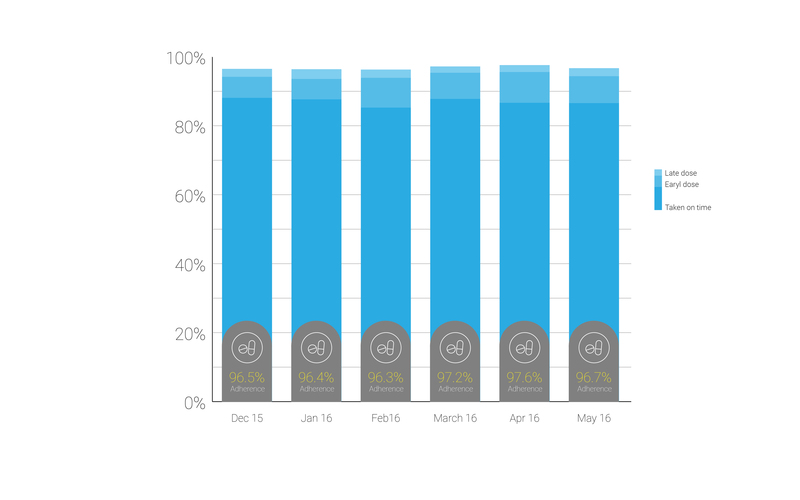 After only three months, where adherence levels were sustained at above 94.5%, the impact on patients’ health was clear. While the study was initiated with CHF patients of various classifications (ranging between 2 to 4), now they were diagnosed as classifications 1-2.